Asking questions is a matter of course for University of California, San Diego philosopher Nancy Cartwright. Her queries include, “What makes something evidence for something else?” and “Does policy work define outcomes?” For her deep-thought work that “fills in gaps,” as she explains, Cartwright is recognized as one of the world’s most influential living philosophers according to The Best Schools, the University of Edinburgh, and others. But true it seems to be of this deep thinker specializing in philosophy and methodology of natural and social science, according to the stacks of evidence favoring her exceptionalism. The prize is awarded by the Phi Beta Kappa Society (PBK) in conjunction with the American Philosophical Association (APA). The prize is unusual in that its winners “must be two philosophers who hold contrasting views on a chosen topic of current interest in philosophy,” according to the APA. The two philosophers will present their views in a public lecture and at an annual Lebowitz symposium held at one of the APA divisional meetings. Her current work on the nature of evidence for social and health policy in Britain, for example, led to the recent publication entitled “Improving Child Safety: Deliberation, Judgement and Empirical Research” by Cartwright, Eileen Munro, Jeremy Hardie and Eleonora Montuschi (Centre for Humanities Engaging Science and Society, 2016). Now, her questions include “What do we actually learn from a randomized control trial?” and “When is this information useful for extrapolation into other areas?” According to Craig Callender, professor and former chair of the UC San Diego Department of Philosophy, Cartwright has done “some really fantastic work here,” with Angus Deaton, a recent Nobel Prize winner in Economics. Cartwright has even been invited to testify on evidence before the British Parliament. More empirical proof indicating Cartwright’s excellence includes her recent receipt of the 2017 Dr. Martin R. Lebowitz and Eve Lewellis Lebowitz Prize for Philosophical Achievement and Contribution—a top honor recognizing outstanding achievement in the field—awarded by the Phi Beta Kappa Society and the American Philosophical Association (APA). She also was recognized this year as the 38th Carus Lecturer by the APA at its recent annual conference in Seattle. Callender supported this claim, affirming Cartwright’s major influence on philosophy of science for almost five decades. “Where Nancy goes, the field has followed. Broadly speaking, she has moved from philosophy of the natural sciences to philosophy of the social sciences, in particular, from quantum mechanics to economics,” he said. Specializing in causal inference, modeling and evidence-based policy, Cartwright’s contributions to the field include work on laws of nature, scientific practice and explanation. Cartwright is a member of the American Academy of Arts and Sciences, a MacArthur Fellow, a Fellow of the British Academy and Professor Emeritus at the London School of Economics. She was honored by the University of St. Andrews in Scotland during its 600th anniversary, along with Hillary Clinton and Dame Jane Goodall, and Cartwright serves as co-director of the Centre for Humanities Engaging Science and Society (CHESS) at Durham University in England, where she teaches part time. Additionally, her distinctions include past president of the Philosophy of Science Association, former president of the APA, former member of the U.S. National Research Council’s Committee on Developing a Research Agenda for Social Science Evidence for Use, and the list goes on. Besides her professional excellence, Cartwright also stands out in a more personal way. 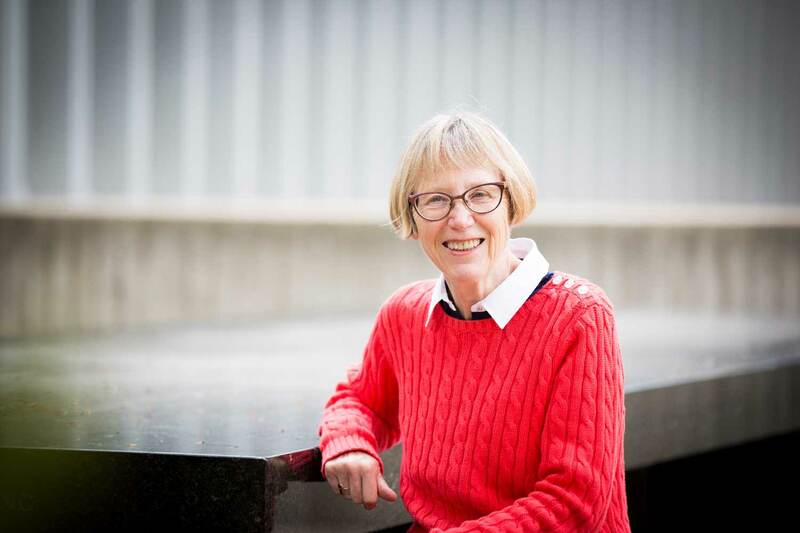 According to Cohen, not only is Cartwright a world-leading, highly influential and widely lauded scholar, she is also an inspiring teacher and advisor who cares deeply about students. The Department of Philosophy in the No. 23 globally ranked Division of Arts and Humanities at UC San Diego has grown to become an internationally ranked department, committed to the highest standards of teaching and research. The department strongly advocates interdisciplinary work, and it has close research and teaching connections to a wide range of fields, including history, physics, classical studies, psychology, linguistics, political science, biology, law, mathematics and more. Graduates of its Ph.D. program are successfully placed in top departments across the country and abroad.